I joined POF after not having much success finding decent men on other dating sites. Less than a week after I joined POF, Ty messaged me. He instantly made me smile and laugh with his messages, and a few weeks later we met in person. We had an instant connection and no matter what we did, we had a great time together. We lived about 45 minutes apart, but shortly after making ourselves an official couple, I started staying at his house several nights a week. We were madly in love and started house hunting about 5 months in to dating. Six months into dating, we flew to California so I could meet his family. While we were in California, we closed on a house and started the moving process when we returned. 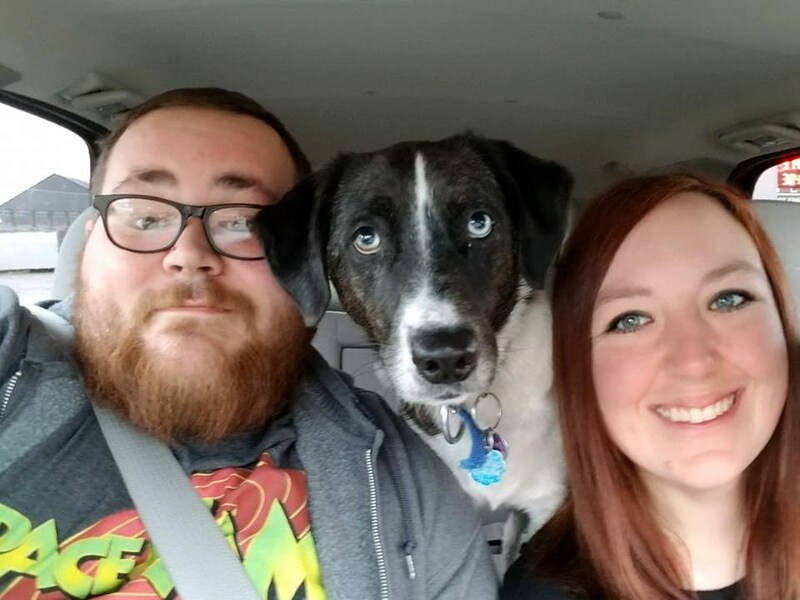 After getting settled into our home, we adopted a dog together and have been living happily together ever since. On New Years, a few weeks shy of our 2 year anniversary, Ty proposed to me after our midnight kiss. It was such a happy moment! We are currently wedding planning and have our date set for May 4th, 2019. I am so grateful for POF for helping me find the man of my dreams!